Hartford Insurance had deemed our client’s 2005 Nissan Altima-4 Cyl. a Total Loss and offered him a settlement of $3,254.85. We successfully settled his claim for a settlement of $8,181.25. Safe Auto Insurance had deemed our client’s 2012 Honda CR-V EX a Total Loss and offered him a settlement of $16,904.38. We successfully settled his claim for a settlement of $18,593.75. 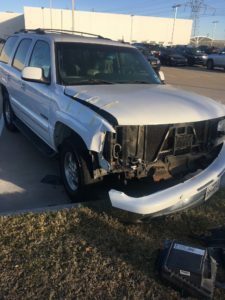 Farmers Texas County Mutual Insurance had deemed our client’s 2003 Chevrolet Tahoe LT a Total Loss and offered him a settlement of $5,059.63. We successfully settled his claim for a settlement of $7,437.50. 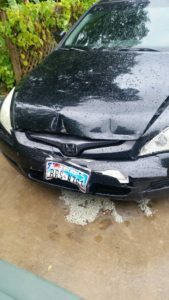 Safe Auto Insurance had deemed our client’s 2003 Honda Accord Coupe a Total Loss and offered her a settlement of $2,944.19. We successfully settled her claim for a settlement of $4,037.50. 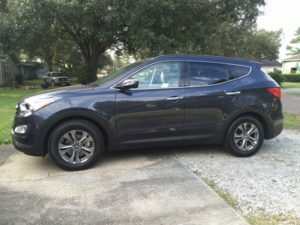 State Farm Insurance had deemed our client’s 2016 Hyundai Santa Fe Sport a Total Loss and offered him a settlement of $18,107.13. We successfully settled his claim for a settlement of $23,853.13. 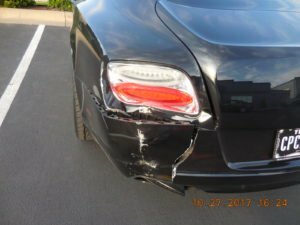 Geico Insurance had deemed our client’s 2013 Bentley a Total Loss and offered her a settlement of $113,147.81. We successfully settled her claim for a settlement of $141,876.75.